The table below is an index of all the great Schrade knife related content on AAPK’s website. Utilize this page to learn all about this great old knife brand. Once you’re hooked, join in our Schrade forum to post questions, show off your knives, or help others. Also be sure to support our members by visiting the Schrade knife category of the APK Member store on occasion to buy a Schrade knife or two! This is a copy of a Schrade promotional item that includes the company’s Bill of Rights among other interesting literature and illustrations. It’s titled What Makes Schrade A Great Knife – Courtesy of orvet. This forum is dedicated to the knives that are the legacy of this company. This forum is not the place to discuss the replica knives currently being imported using the Schrade name. Stop in with your questions or to enjoy friendly Schrade related discussion! 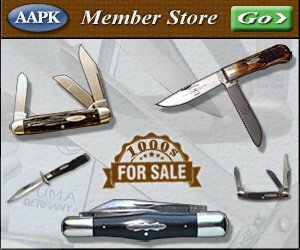 Schrade Knife Image Gallery The Schrade image gallery is a great place to view & share Schrade related knife & memorabilia. Stop by for a look and please consider adding pictures if you have some.